I enjoy sharing yoga with others so much that I feel guilty calling it work! With a wonderful husband and two beautiful boys to share my days, life really isn’t so bad. I’m very blessed to have such a good work/life balance. My yoga journey began at the tender age of 11. I was suffering from insomnia and unhappy that no practical help was available. Over the years I practiced breathing and meditation techniques that allowed me to manage my insomnia. From that point on yoga became a part of my life. The physical side came later for me which is a backwards journey compared to the common route. Most students usually begin for the physical benefits. This often then leads to an interest in meditation and breath work. A few years after I moved to Perth, a friend asked me why I wasn’t a yoga teacher. It was a “lightbulb” moment for me. How could I have not seen this before?! I have been teaching yoga in Perth since 2003 and haven’t looked back. 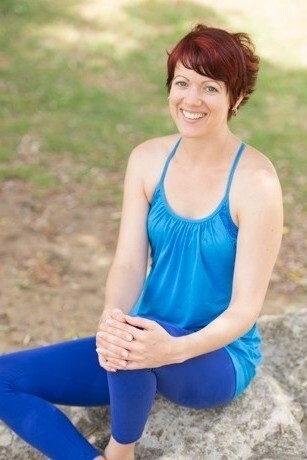 All yoga teachers taking classes at Charleyoga are certified, professional individuals. I can confidently assure you that you are in good hands. Feel free to get in touch as I am happy to have a chat with you over the phone about any concerns you may have about starting yoga.